Our mission is to inspire the esports community to demand more from their own performance, strive for greater goals and to reach their full potential. We aim to accomplish this by creating remarkable tools backed by scientific research to help those serious about improving their gaming skills. We are dedicated to changing the paradigm around competitive gaming, helping competitive gamers receive the respect they deserve so they are no longer seen as “gamers” and instead, recognized as esports athletes. Are You Ready to Become an eAthlete? 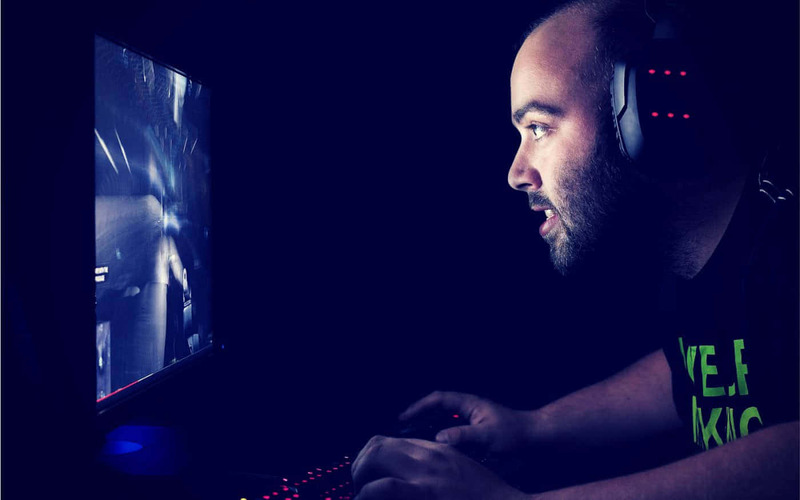 Most competitive gamers today who want to get a slight performance boost or a bit of a competitive edge will reach for unprescribed Adderall or sugary energy drinks. Both of which have extremely negative effects on your health and can actually ruin your brain performance and as a result, your gaming performance. It’s time for a new solution! eAdvantage is a healthier, cheaper way to boost your energy and focus, while also improving your memory and overall brain performance! The majority of competitive gamers are only achieving a fraction of what they’re capable of. They are limited by their mindset and by the information that’s available to them. They are told that they aren’t skilled enough, or talented enough, then when they decide to study the game and develop their skills, they’re only shown the basic “tips and tricks”. They aren’t taught to optimize their brain in order to improve faster or to use scientific techniques to avoid the obstacles that can destroy their performance. But it’s time to change that approach. It’s time to take the route of science and psychology to get an edge over the competition, avoid the obstacles that hold most players back, and achieve the level of skill that you’re truly capable of. An “eAthlete” is a competitive gamer who take their performance as seriously as a sports athlete takes theirs. eAthletes dream big, work hard and commit themselves to the game. They are ruthless in their effort, constantly improving and climbing to the next rank. They’re athletes of esports. They’re the future of competitive gaming… Are you an eAthlete? Check out our new merch collection and start repping eAthlete! Sign-up for the eAthlete Newsletter and get 14% off your next order! Our mission is to inspire the eSports community to demand more from their own performance, strive for greater goals, and to reach their full potential. We aim to create remarkable tools, backed by scientific research, to help those serious about improving their gaming skills. And we are dedicated to changing the paradigm around competitive gaming, helping competitive gamers receive the respect deserve, so they are no longer be seen as “gamers” and instead, recognized as eSports athletes.